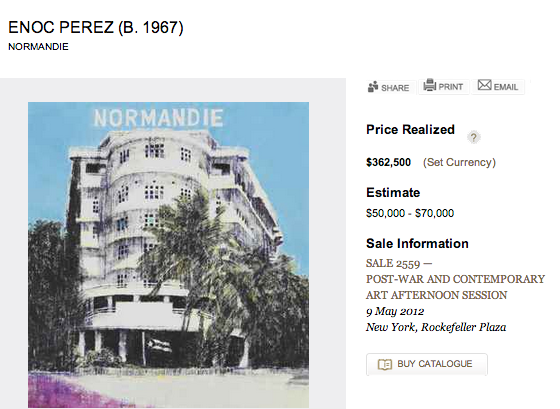 The Auction World…Only two name will always ring the bell Christie and Sotheby’s. They are consider the elite in the art world and any artist that make it to this point is already consider a premium artist. Auctions are the only place where the true market value of the property is based on the competitive bidding this ensures that the price paid for a work reflects the true market value which in turn provides reassurance that you are not paying too much. Artists and Gallery’s tend to inflate prices through the roof estimating works for thousand of dollars with out any documentation to proof such prices that they ask, which most of the time are not the real market price. 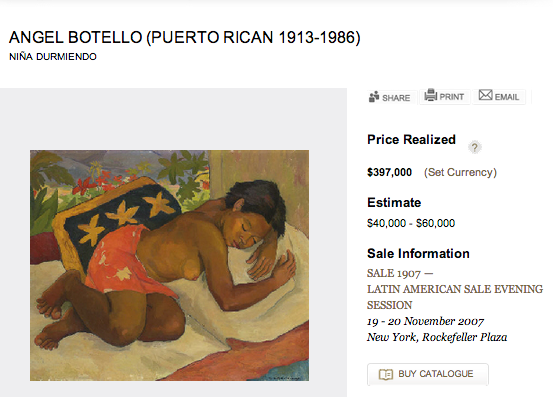 Sentimental Value should NOT be included in the price of a painting. Example you enter to the Studio of an artist and you ask for the price of any particular painting and the Artist ask $10,000 for a painting. What would you do? 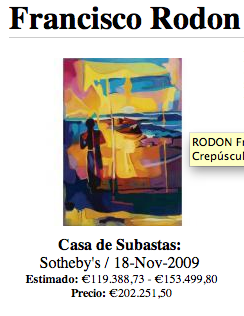 The smart thing is to ask for recent sold paintings and their prices. So for this main reason I always recommend to look at past auction to really know what is the market paying for such pieces you will not pay 10,000 dollars for a particular painting if in the open market can be bought for way less that the artist asking price, This is basic logic, because in the long run you will lose money in the process. Auctions are a gold standard to rank any artist based only in monetary price but the quality of an artist should never be based in this principal having said this here are Puerto Rico top paid artist.